We owe most of our success to writers like you for the wonderful contributions. 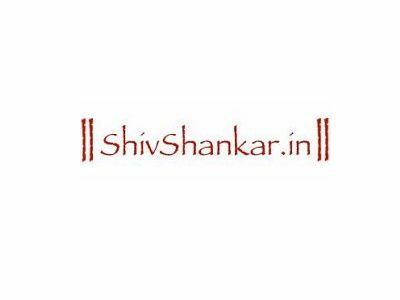 ShivShankar.in is a new website, so obviously there will be a lot of information about Temples, Scriptures, Stories and Photos missing. If you spot something missing that is dear to you, feel free to send us the information immediately. Register. Login to upload your story. Or simply email it to us. You are also encouraged to see our Requested Content. See Technical help for writers. While We want contributors who depend on this for their livelihood to benefit. We promise to publish a bio with your basic contact information. If people like your content, someone may offer you an alternate contract. Some sponsors also sponsor content development, and if someone likes your style of writing or drawing, they may want you to research and write on a temple of their choice. The discretion of accepting any submission lies solely with our editors. Period. All submissions written with good intent will be published. Get started 🙂 Sales talk disguised as content is out. Sorry. You can create a new article about something you love. Read up on the matter. Research. Try to read the original Puranas. The official temple websites. Refer multiple sources. Google baba and Oracle Wikipedia can help too. However, use your discretion and wisdom on whether the information is authentic and complete. Most blogs, facebook and myspace accounts may not have authentic information. If the writer has expressly permitted use of his/her content, you can do so. If you are re-writing the content based on a number of sources, or on the basis of an ancient text or a story you know, you are free to do so. Write a substantial bit today. Send it to us. Send it to your friends for review. Revise the version after a few days. But get started… 🙂 Scan your photos and add it to the post next week..
“Gauri…” has been written from a Gangaur Song in Marwari, repeated a number of times to ensure that nothing was missed out. Patience is a virtue. As of April 2012, it needs to be professionally edited. The writing of “Prambanan..” was inspired by a coffee table book. The text was researched by using Google Baba, Wikipedia, and different websites. The photographer has expressly released the photo in public domain, but has been credited. The text needs to be expanded as of April 2012. “..Gopeshwar Mahadev..” has been re-written based on a story my mother read to me from a book from Gitapress Gorakhpur in Hindi. Additional details and modern names have been researched using different official websites. Writing “Namami shamishaan..” needed significant time. I started with the version in the Ramayana I had at home. I cannot type in Hindi or Sanskrit, so I found a Sanskrit version on the Internet. The Internet version had lots and lots and lots of mistakes. I had to listen to Namami Shamishaan again and again, correcting the text as we went along. Correcting it with an English keyboard and translating it was fun 😉 Hopefully, its reasonably correct now. Please do not try to promote your product or business in articles. We accept sponsored content pages that are clearly marked as sponsored pages, but we religiously weed out advertising disguised as articles..